Dhaka, Paris, 11 October 2018: Bangladesh will be a credible member of the United Nations (UN) Human Rights Council (HRC) only if it makes concrete progress in addressing human rights issues at home, FIDH and its member organization Odhikar said today. The call comes ahead of the election of 18 new HRC members on 12 October, during the 73rd session of the UN General Assembly (GA) in New York. 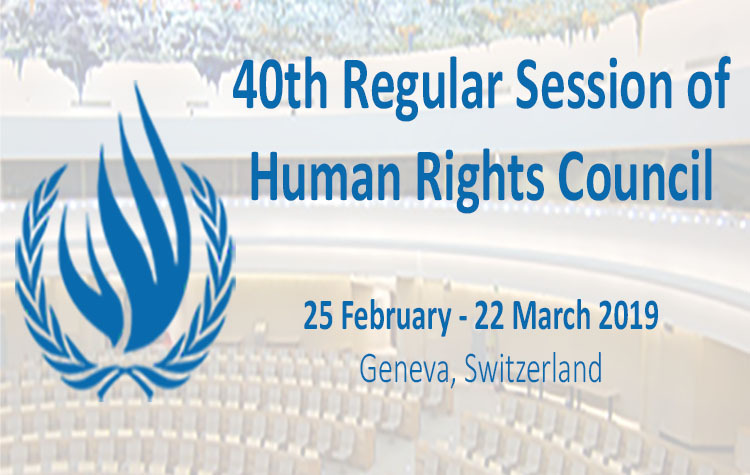 Bangladesh, Bahrain, Fiji, India, and the Philippines are almost certain to be elected to the HRC for the 2019-2021 term as they are the only candidates for the five vacant seats for the Asia-Pacific region. In a letter dated 7 June 2018 to the President of the GA, the Bangladeshi government submitted its human rights pledges and commitments as part of the country’s candidature for an HRC seat. The document included a list of 30 voluntary pledges and commitments at both the domestic and international level. “The promises made by the Bangladeshi government to the international community may seem hollow if in the meantime the human rights situation in the country deteriorates. The government’s blatant misrepresentation of the country’s human rights situation in its candidature to the UN Human Rights Council underscores Dhaka’s duplicity and lack of political will to address the existing human rights challenges,” said FIDH Vice-President Guissou Jahangiri. Despite the government’s claim that it takes “initiatives to develop national policies and strategies aimed at the realization of fundamental human rights and principles,” reports of alleged enforced disappearances, extra-judicial killings, and torture abound, all without any adequate investigation being undertaken by the authorities. The government rejects the occurrence of serious human rights violations in the country, despite significant evidence that these abuses are taking place. Several waves of peaceful large-scale student protests in April, July, and August 2018 were met with excessive use of force by the authorities. Dozens of protesters were arrested and some were held in incommunicado detention, allegedly tortured in custody, and incarcerated on trumped-up charges. Authorities also failed to protect peaceful demonstrators from violent attacks by members of the ruling party’s student and youth organizations. Despite Dhaka’s pledge to “preserve freedom of the press and promote the constructive role of civil society and print, electronic and social media in the promotion of human rights”, authorities have increasingly limited the right to freedom of expression and the space for Bangladeshi civil society to operate. The Digital Security Act (DSA), approved by Parliament on 19 September 2018, introduced restrictions to the right to freedom of expression online, which add to the existing curbs imposed by the notorious Information and Communications Technology (ICT) Act. The government largely ignored concerns and inputs from the media, civil society, and online activists in the lead-up to the adoption of the DSA. In addition, several newspapers have been shut down in recent years, and journalists have reported increasing self-censorship, particularly when reporting on politically sensitive issues. While the government claims that it “encourages the contribution of civil society and non-governmental organizations (NGOs) to national socio-economic development, as well as to the promotion and protection of human rights”, some prominent Bangladeshi human rights NGOs continue to face harassment and restrictions. The 2016 Foreign Donations (Voluntary Activities) Regulation Act, continue to be used to curb the activities of critical civil society voices, some of which are no longer able to operate freely in Bangladesh as a direct result of these regulations. In addition, aid organizations have also reported that restrictions, bureaucratic obstacles, and unnecessary delays have severely hindered the effectiveness of their humanitarian action to assist Rohingya refugees in Cox’s Bazar District. The Bangladeshi government also claims that it “plays a constructive role in the international arena through the promotion of cooperation and dialogue, particularly at the United Nations” and that it “cooperates regularly with the [UN Human Rights] Council and its various mechanisms, including the treaty bodies, to uphold its commitments under the relevant international human rights instruments.” While the government has assisted UN officials and bodies working on the Rohingya crisis, its record of cooperation with UN treaty bodies and special procedures concerning the human rights situation in the country remains lackluster. Bangladesh has not submitted any initial or periodic reports to key human rights treaty bodies on time, with delays ranging from 14 to 19 years. In addition, the government has failed to take steps towards the implementation of key recommendations made by the UN Human Rights Committee and the UN Committee on Economic, Social, and Cultural Rights in March 2017 and April 2018, respectively. The government also failed to implement key recommendations accepted during the country’s second Universal Periodic Review (UPR) in 2013. The government says it has “responded favorably to requests for meetings” from the UN Working Group on Enforced or Involuntary Disappearances (WGEID). However, a government response to the request made by the WGEID in March 2013 to conduct an official country visit is still pending, despite the WGEID’s yearly reminders – most recently in January 2018. The government has also repeatedly failed to respond to cases transmitted to them by the WGEID. Lastly, the government touts the measures adopted to eliminate violence and discrimination against “transgender persons.” However, during the third UPR of Bangladesh in May 2018, the government failed to accept recommendations that called for the protection and respect of rights of lesbian, gay, bisexual, transgender, and intersex (LGBTI) individuals. “As a member of the Human Rights Council, Bangladesh needs to lead by example, and this means adopting necessary measures to protect citizens from human rights abuses. The fact that the country has opened its borders to about a million Rohingya refugees should not be construed as a sign that the Bangladeshi government respects and protects the rights of its own people,” said Odhikar Secretary and FIDH Vice-President Adilur Rahman Khan. FIDH and Odhikar remind the Bangladeshi government that a seat on the HRC requires that its members uphold the “highest standards in the promotion and protection of human rights.” This must include concrete reforms in the domestic legislative and policy framework to address the serious human rights violations that continue to take place in Bangladesh.